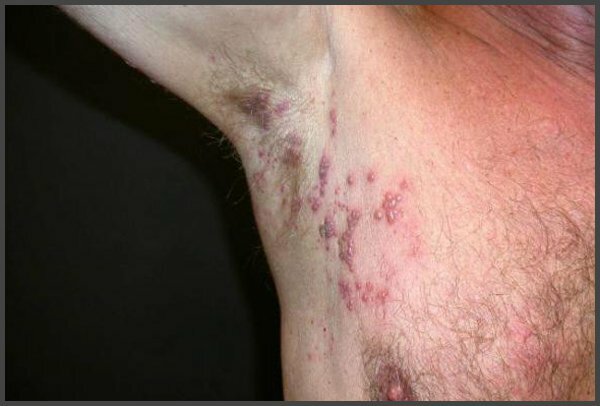 Shingles in the armpits like in the picture causes a lot of inconveniences to patients. 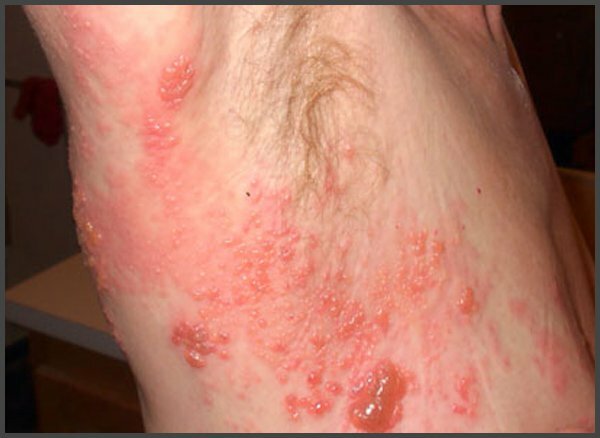 Because of severe itching and inflammation of the skin, sweating can increase considerably. In turn, sweat contributes to additional irritation of the affected areas.